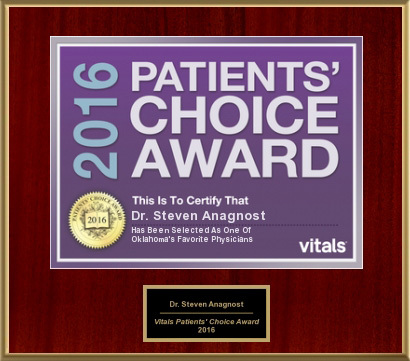 Dr. Anagnost has taught and lectured throughout the world about the benefits of minimally invasive spinal surgery. In addition to being a teacher and researcher at Oklahoma State University, Dr. Anagnost has been on clinical staff for the department of Orthopedic Surgery at Oklahoma State University since 1999. He has been an integral part in the training and education of many of our new orthopedic surgeons in Oklahoma. • University of Louisville – Pediatric Trauma Manual. Pending publication.